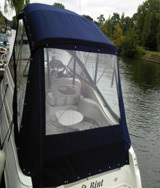 We offer a wide range of marine covers to provide you and your boat with protection from the elements. 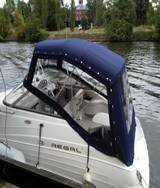 Depending on your requirements, AM Marine Trimming can provide new covers, cockpit enclosures, tonneaus, biminis, narrow boat cratch covers and dodgers. Our products are mainly supplied in acrylic canvas or PVC but we work closely with material manufactures so are able to supply and offer advice on many other materials available. Working alongside our customers to understand their requirements we are able to completely design a new canopy. 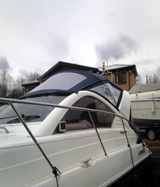 From whether it needs new stainless steel framework and fittings to tonneaus and winter storage covers.